Perhaps Apple should take a page from Amazon's book. The new $149 Apple TV arrives in stores Friday, and the first reviews are out. After many years of speculation, Apple has finally released an Apple TV that can connect to an app store and run third-party apps, rather than the more limited Apple-supplied content channels that have been on the Apple TV since its very first generation. But while the reviews of the new Apple TV are generous–Brian X. Chen of The New York Times seemed especially surprised by how much he liked it–many of them noted that Apple faces some stiff competition in this market. Roku and Amazon both make boxes that are similar to the Apple TV, but priced less, and Google’s Chromecast and Amazon Fire Stick are even tinier and cheaper. The competition is so tough, in fact, that I suspect it’s why Apple is keeping the third-generation Apple TV in its price list at $69. This week on the Clockwise podcast, when I was talking to Slovenian tech journalist Anze Tomic about how an app-oriented Apple TV will fare in a world where the smartphone app reigns supreme, it struck me that perhaps Apple’s not done with the Apple TV product line yet. Surely the old model, offering none of the new features, can’t stick around forever. With the new Apple TV finally out, perhaps Apple is now free to move forward and address other parts of the TV-box market. Which got me thinking: If Apple wants to make a modern product that competes with the $35 Chromecast and the $40 Amazon Fire TV Stick, in the long run it might make sense for Apple to make a new product that brings more of the new Apple TV’s features to that $69 price. What would that product look like? 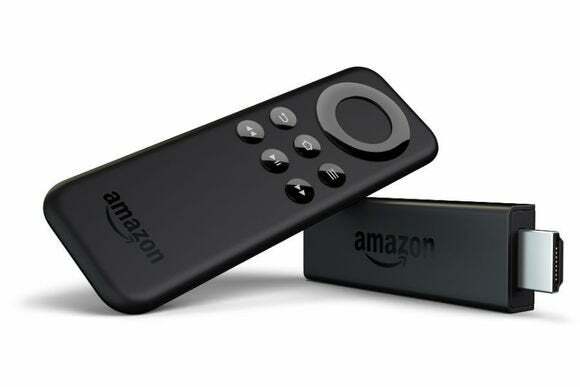 Amazon’s approach with the Fire TV Stick was to boil the contents of the regular Fire TV down into a small USB-powered HDMI stick, like the Chromecast, that you can plug directly into your TV and power via USB. 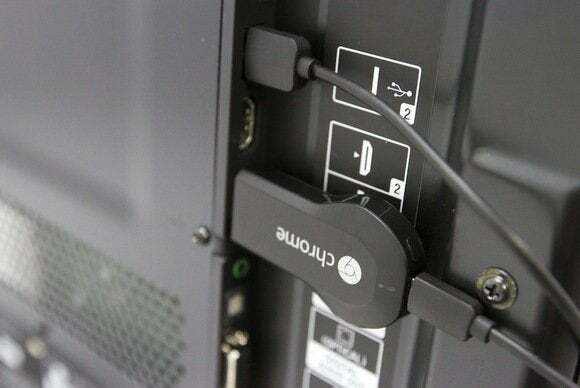 Most modern HDTV sets have USB ports, so it’s often a very convenient (and invisible) way to add tech to a TV. In addition to the small size, the Fire TV Stick is compromised in other ways. It’s got a less capable processor, no Ethernet support, and you’ve got to pay an extra $10 to get the fancy voice-equipped remote control. Amazon's Fire TV Stick provides access to Amazon's TV platform and app store at a lower cost—something Apple could do too. It’s hard for me to imagine Apple releasing a brand-new TV device that would struggle to play higher-end games, but the current $69 model doesn’t run any apps at all, so it would still be a step up. Apple could offer less storage space and maybe not even include the remote control. Perhaps you’d need to use your iPhone or iPad to control a theoretical Apple TV Stick, with the Siri Remote as an optional upgrade purchase. Beyond running apps, such a product would also have another major feature: It would be a small, unobtrusive device to bring AirPlay support to any TV set. Back when I worked at Macworld, we added an Apple TV to a couple of conference rooms just so it was easier to display a laptop screen. A streaming stick like this first-gen Chromecast is easy to hide behind a TV—and the Apple TV's easy AirPlay feature is great for meeting rooms. A $79 or $99 AirPlay-enabled Apple TV Stick would be a cool product on its own, even leaving out the ability for it to run tvOS apps. And then consider that those apps could also be used to transform TVs throughout an office into status boards (at IDG I velcroed iPads to the back of TV sets so we could run Panic’s Status Board app). It might also be nice to see an update or addition to the $99 AirPort Express that does what Google’s $35 Chromecast Audio does–supply audio via AirPlay to an external speaker or other output device. I’ve got a bunch of Bluetooth adapters that sort of do this, but I’ve found using them to be unreliable, and of course, they require that you stay relatively close for the connection to remain intact. Theoretically, an AirPlay connection can be from anywhere on my Wi-Fi network, which is to say, anywhere in my house. 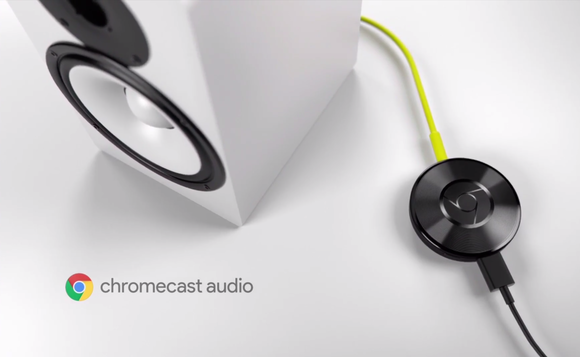 Chromecast Audio lets you stream music to any speaker, in a much smaller footprint than the AirPort Express. I’m less bullish on the possibility of Apple doing a product like this. I find myself connecting my iPhone to speakers by the good ol’ headphone jack in most cases, which is dumb (and forces me to be next to the speaker to play anything, and give up the use of my iPhone if I’m not sitting right there). The only question is, will that be a price cut to the existing $149 model, or a newer model that’s been engineered to be cheaper and hold down the bottom of the product family? Maybe Amazon’s approach here is the right one, after all.